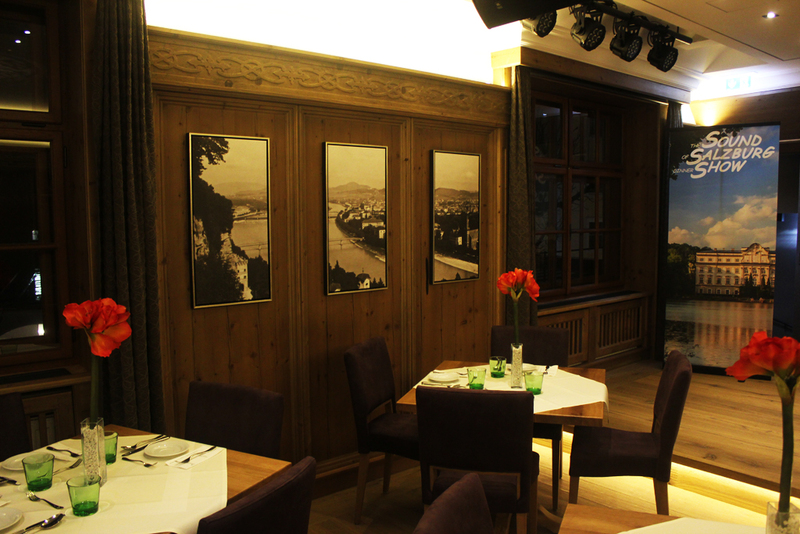 With the beginning of 2015 the Sound of Salzburg Show will change its venue and will be hosted in a well known building in the old district of Salzburg: the Sternbräu restaurant. The roots of the restaurtant are always present. The Sternbräu was first mentioned in the year 1542. But it is believed that the history of the restaurant goes back way further. Over the years the owners, names and even locations changed, but the heart and soul always remained and carried its legacy to this day. How old the actual building is no one knows for sure, but some parts and walls are dated back to the dark ages. These landmarked pieces make out a very important share of the structure. Even today. How important the old heart of the building actually is can be seen from every angle: In early 2013, the owners of the Sternbräu decided to completely renovate the complex. It was not before october 2014, when the restaurant opened its doors again – with a very modern and welcoming new face; leaving the old structure untouched, yet included into the appearence. The mix of modern architecture and traditional identity created a unique spot in Salzburg for all kinds of people. There are the Sternzeit and the Sternlounge, aiming at younger guests, an italien restaurant called ¨La stella¨ and the old-school open air beer garden as well as several themed rooms. 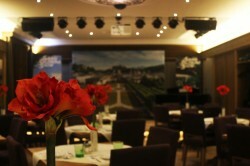 One of them, the Festungssaal will be the new home of the Sound of Salzburg Show. Outfitted with modern entertainment equipment and up to 74 seats, the Festungssaal will guarantee a very special Salzburg evening. Traditional meals meet special service. 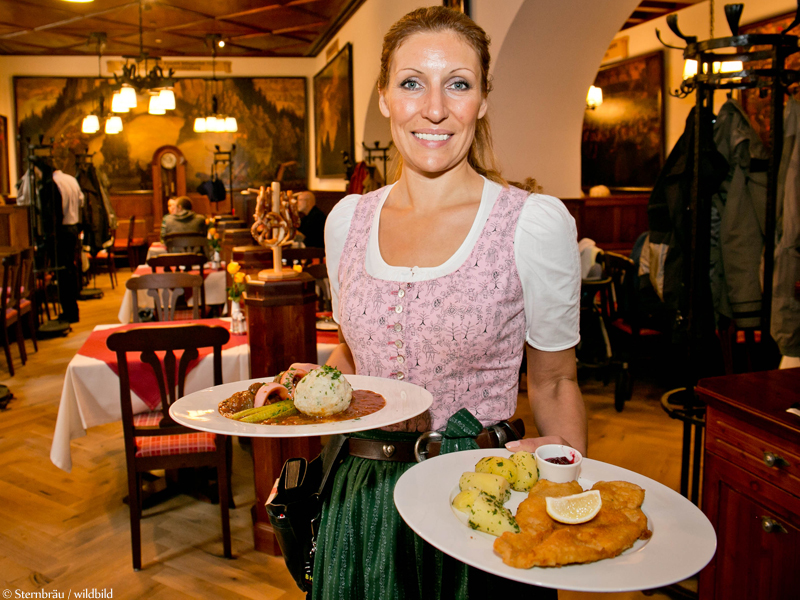 To make it even more special, the Sternbräu made a huge effort to expand its services. Michael Pratter, a famous chef from Salzburg, will lead the new kitchen team, which serves traditional Austrian meals like Wiener Schnitzel and international specialties. Also, for the first time since 57 years Sternbier (beer) and Sternwein (wine, new!) will be offered, along with a free wifi connection. People from all over the world, including Angela Merkel or Anthony Hopkins, like to pay the Sternbräu a visit. We are glad to add our audience to that list.